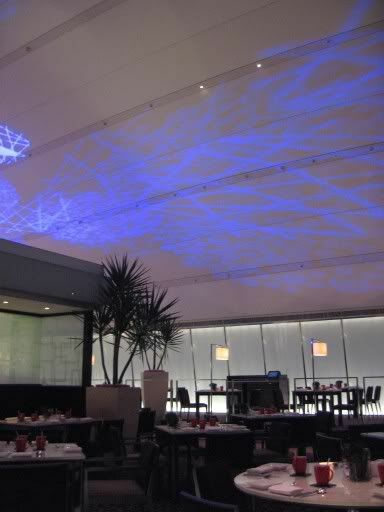 The one thing that stands out particularly would be the Gobo light show on the ceiling - absolutely entrancing! 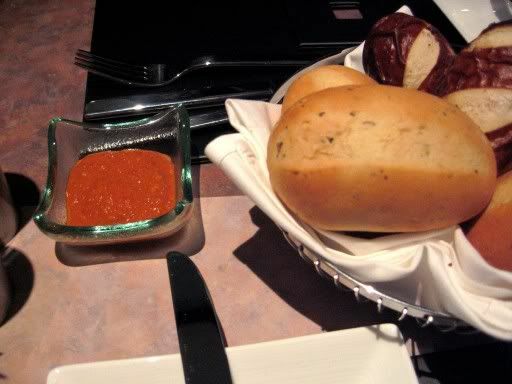 The menu here is a strange conumdrum which can be summed up as: Varied but limited. 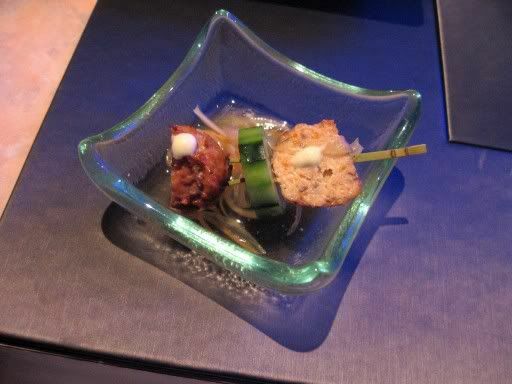 Basically, they have a varied range of different cuisine - Japanese, Italian and Asian - but somehow, the selection of each range felt rather limited. More bacon would have been good but otherwise, the salad was really nice - crispy croutons and fresh leaves (very important) coated with just enough creamy dressing. 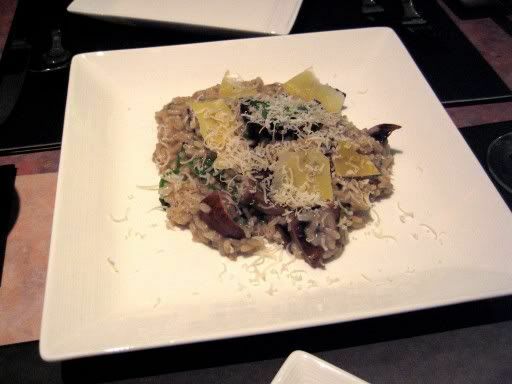 I really liked the Risotto. It was bursting with flavour and had a healthy amount of yummy Porcini mushrooms in it - definately one of the better risottos in KL and something I wouldn't mind having again. 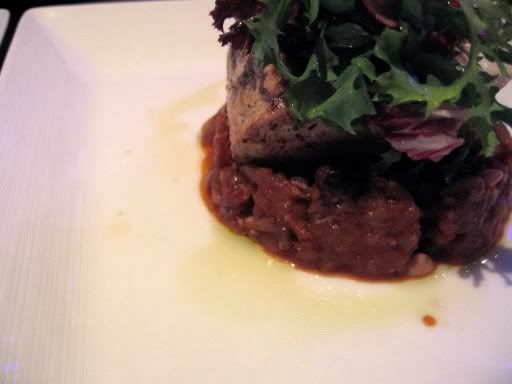 The Yellow Fin Tuna Steak, served on artichokes, was ok. 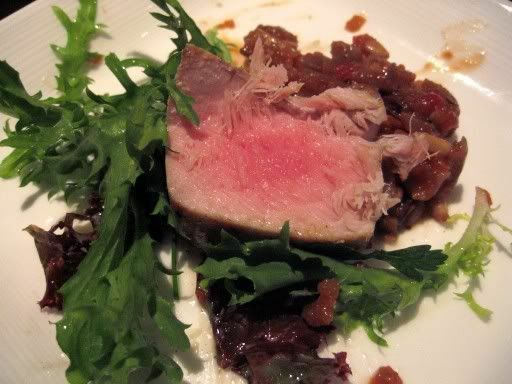 I chose for it to be served medium cooked, so it was still a little pink inside. I found it a little dry but I suppose that is the nature of tuna - flakey and dry. I thought that the artichoke mash thingy went really well with the fish. The waitress was so cute though. Darling P complained that it tasted too fishy and she retorted happily: "Well Sir,... it's fish!". 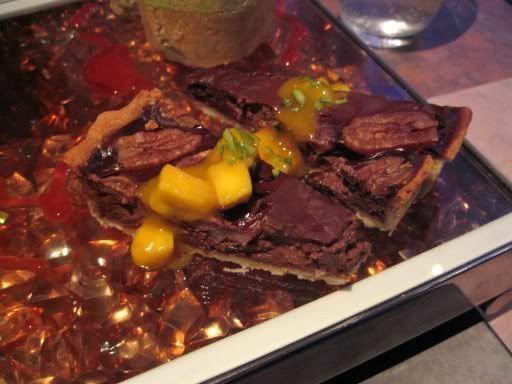 Sadly, the 2 chocolate desserts I chose (being the chocoholic glutton that I am) were total non-events: the Chocolate Pie was a bit too mushy and strangely, not very chocolatey whereelse the Chocolate Walnut Cake was ok but had an overpowering taste of Maraschino cherries which I found to be a bit sickly sweet. 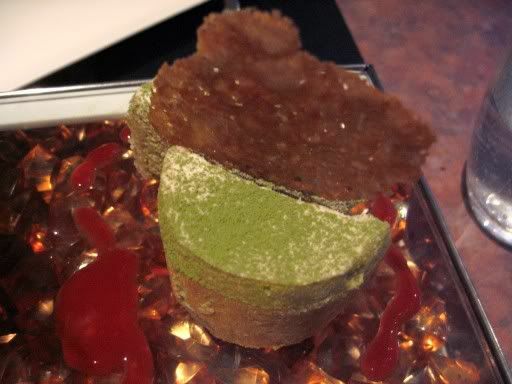 My favourite was the Green Tea Tiramisu - the texture was light and smooth, with a hint of the bitter green tea flavour instead of the usual coffee, which made it refreshing and interesting. So it's: Decent prices and wine selection, wonderful airy ambience, captivating light show and friendly staff BUT hits and misses on the menu and expensive parking. This place also does buffet lunch rite? Must go try it one day since it's near KLCC. I thought you were to go La Suisse? I've been there..nice ambience. You can actually see the Twin Towers from some parts of the restaurant. For after dinner drinks, just go upstairs to Gobo Upstairs/ Bar and the view of the TT is smack in your face... fantastic! I've never been there but the green tea tiramisu is very tempting. Btw, did you go on a weekend or weekday? Was it crowded? They have pretty decently priced Asian and Italian food though. I went to La Suisse this past Saturday. 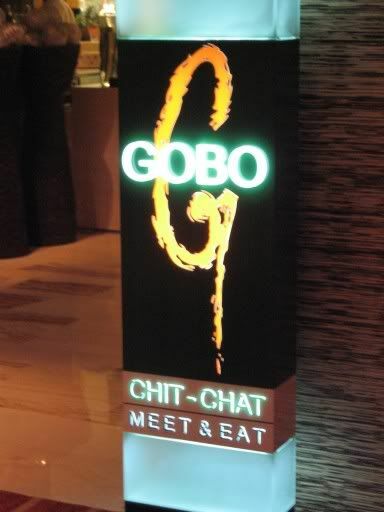 I went to Gobo Chit Chat about 2 weeks ago. Actually, most of the food is surprisingly affordable. Sadly, the taste is not that great. Still, the ambience is really really nice so it's worth a try. Wow - I didn't notice that! I'll definately check that out the next time I go though! 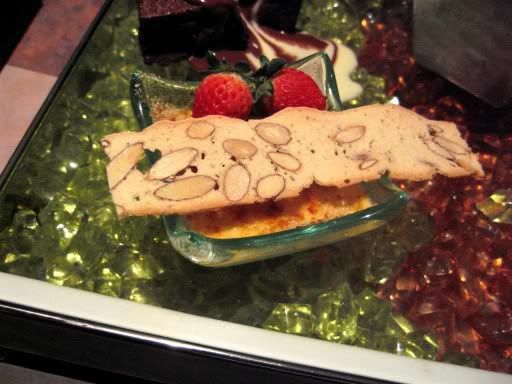 Well, it was the nicest of the 4 desserts I tried that night. I went on a Saturday but the place was almost completely empty. Think they're now advertising they sell US beef rite? 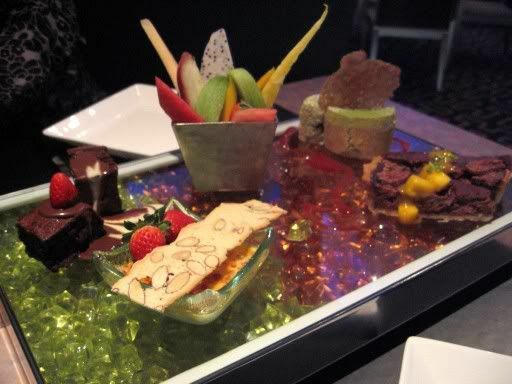 Have any of your friends tried Prime in Le Meridien? They have beef from US and Argentina - ribeye, angus, etc. 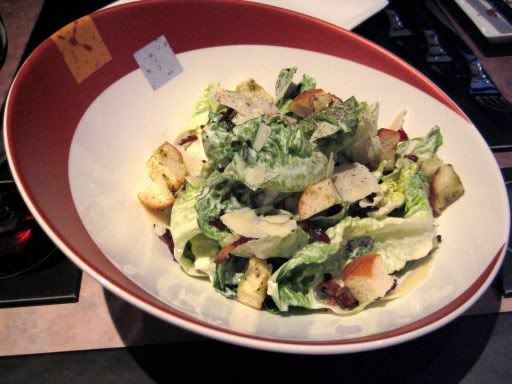 Have you tried any of the restaurants there? Ipoh White Coffee? - Cool. Well, about my reviews: I made a decision NOT to do hawkers eats because some others are already doing that so well. 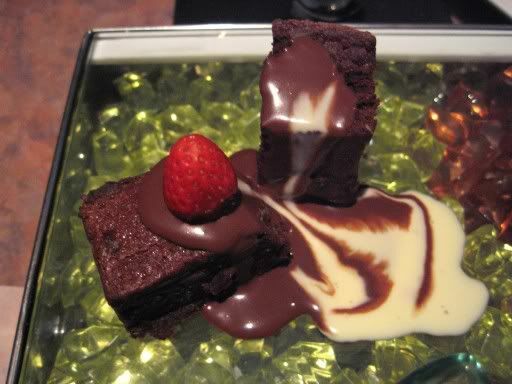 I identified chocoholicmemoirs.blogspot.com after previous months and I'm very excited much to commence participating. I are basically lurking for the last month but figured I would be joining and sign up.